I’m not kidding. 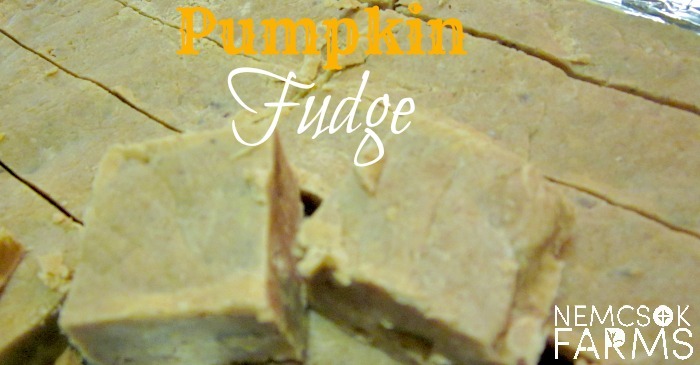 The great big taste of pumpkin pie, wrapped up in a sweet little indulgent square of fudge. 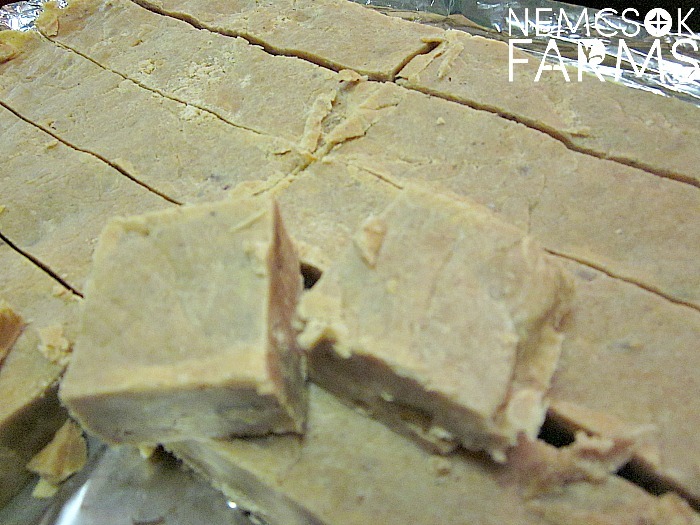 This pumpkin fudge is the ultimate in pumpkin desserts. 2. 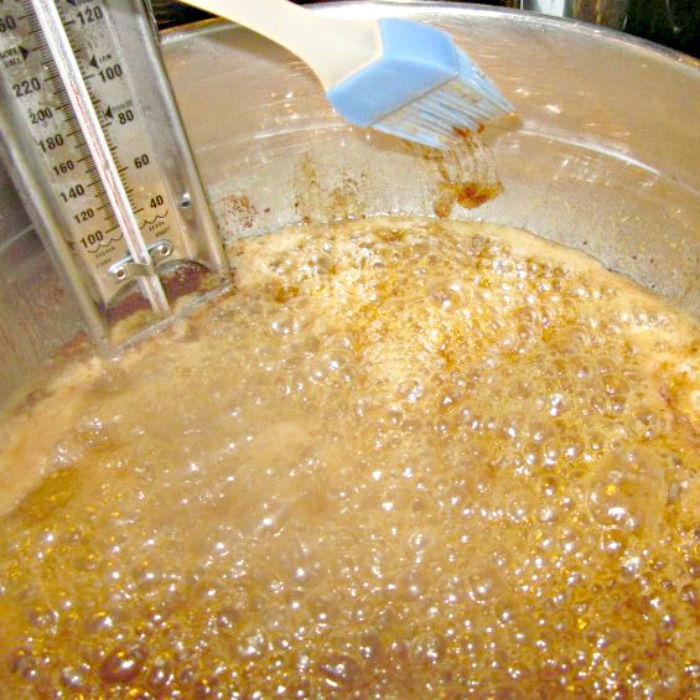 Affix your candy thermometer to the side of your pot, and heat on low to medium, until boiling. 4. Watch closely! When your candy mixture reaches 235 on the candy thermometer, removed from heat, and beat in with a wooden spoon the chocolate and marshmallows, until all is melted. 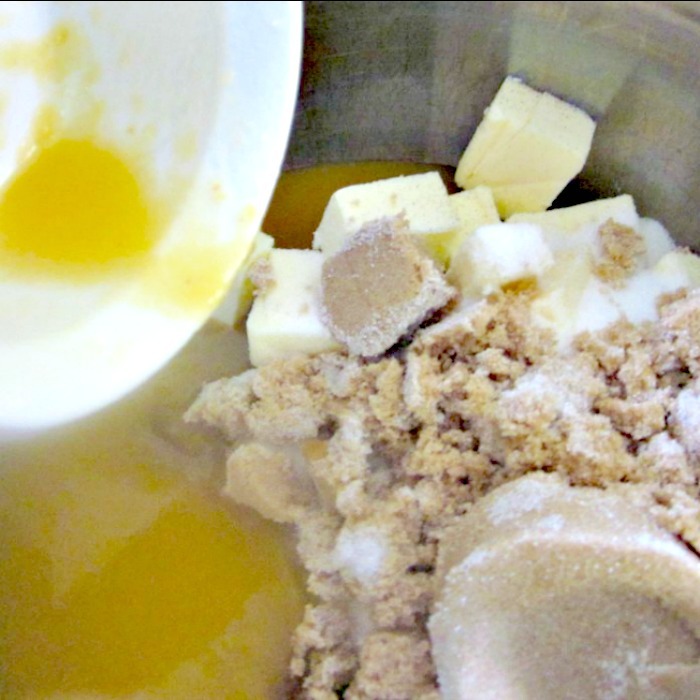 Beat the mixture with the wooden spoon until it looks glossy. 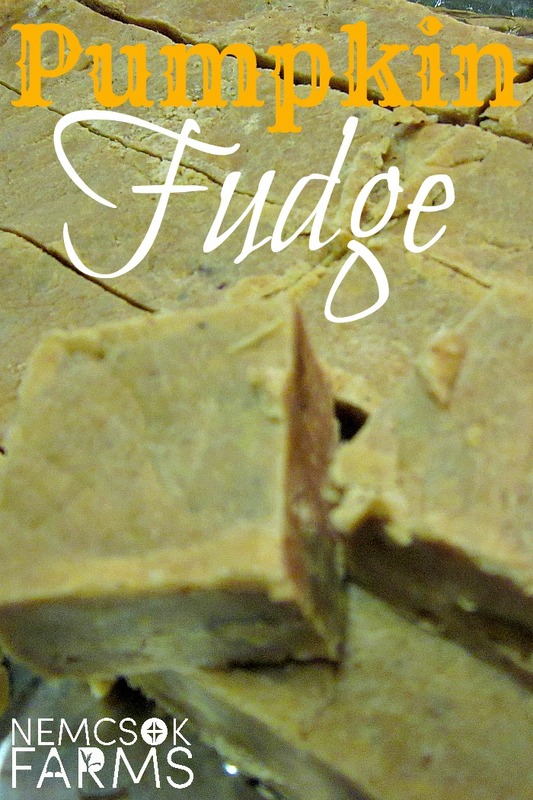 This is the second part to making fudge fudgy instead of sugary. 5. 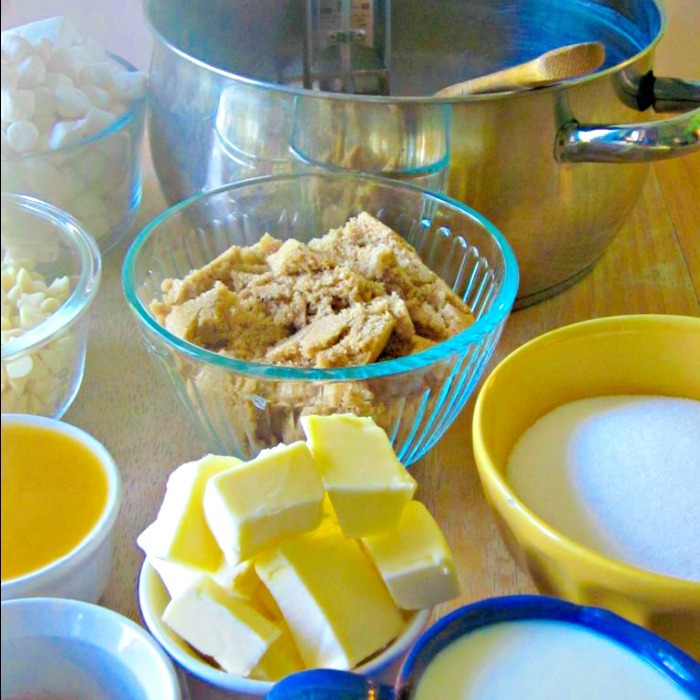 Carefully pour the candy into the prepared baking pan, and level smooth, cover and let harden at room temperature. Once hardened, cut and serve. Don’t forget about our Nature Themed crafts as well – such as our Brilliant Cornucopia.